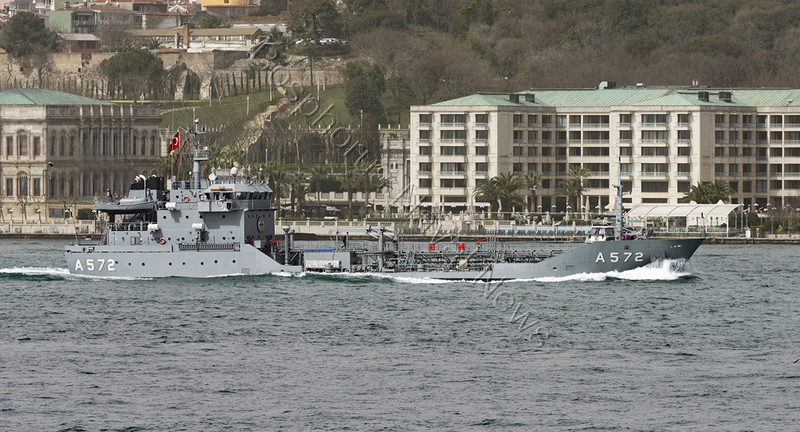 Though it has not been officially announced, the decommissioned oiler ex Binbaşı Saadetin Gürcan, that was observed being towed to the Black Sea in February is believed to be sunk as a target. 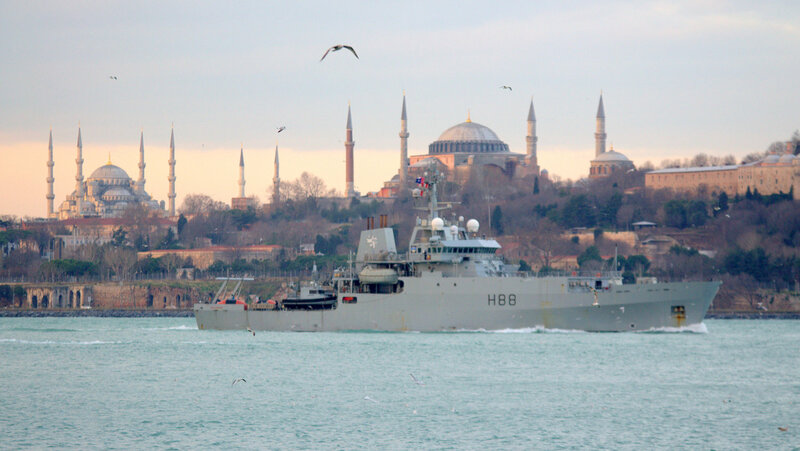 This weekend these warships are dispersed all over the ports in the Black Sea for a well earned weekend break. 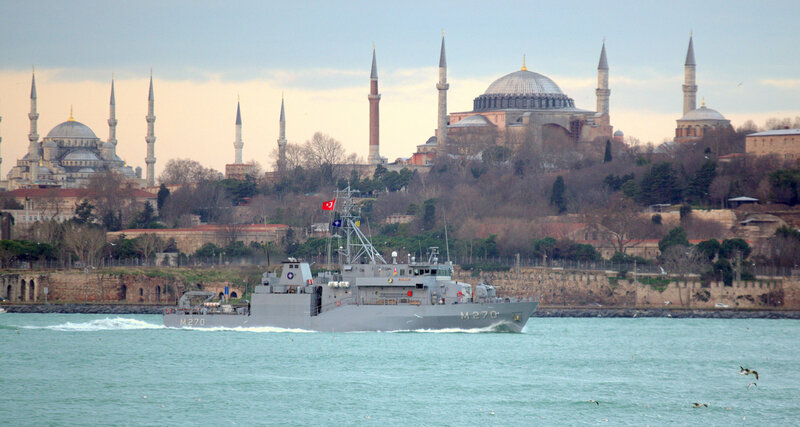 Turkish warships are simultaneously visiting Bulgaria, Georgia, Romania, and Ukraine. 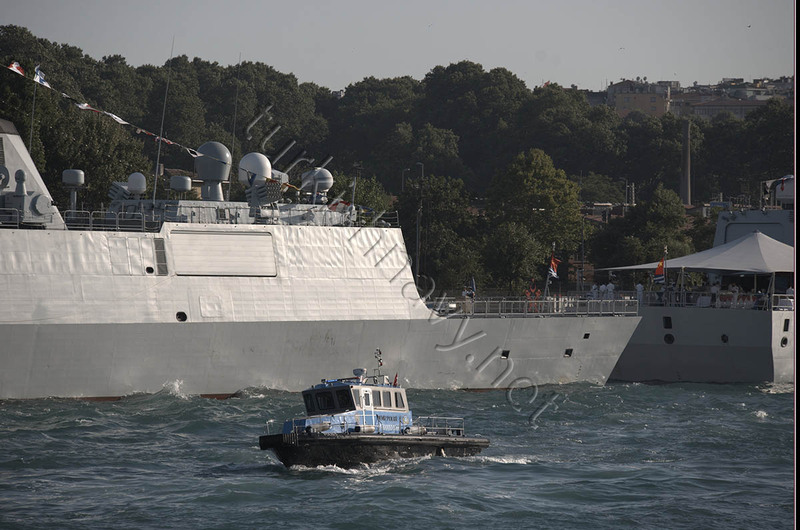 It is neither an easy nor a simple act of sending 8 warships to foreign cities for port visits and small scale exercises at the same time. 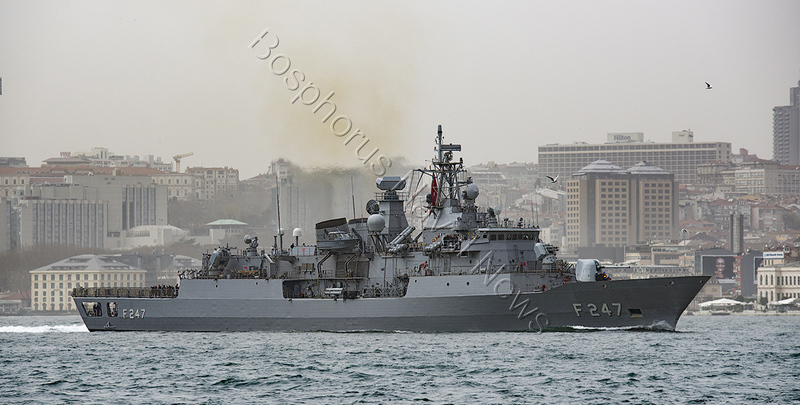 It is interesting to note that Novorossiysk, Russia was declared the fifth foreign port of call by Turkish Navy on 16th March 2018, in the pre-exercise press release. 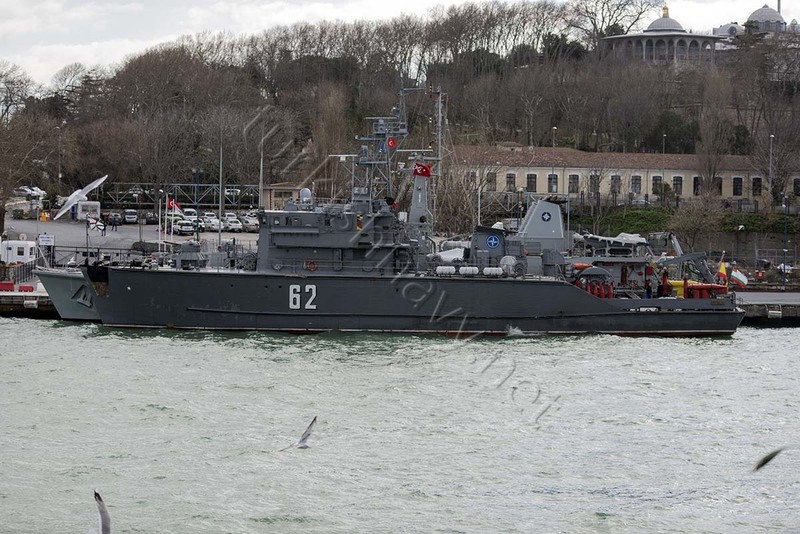 However, Novorossiysk was not mentioned by the daily dispatch of Turkish General Staff on 31st March 2018, as one of the ports where Turkish Navy ships are conducting a visit. 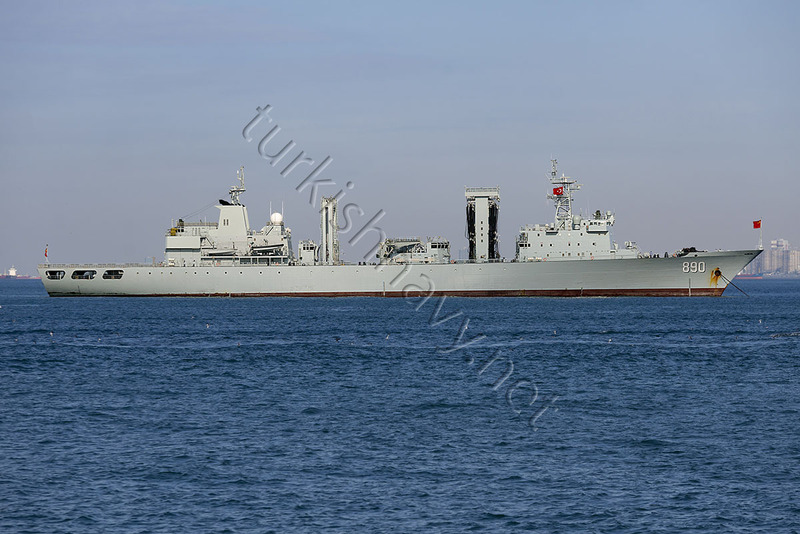 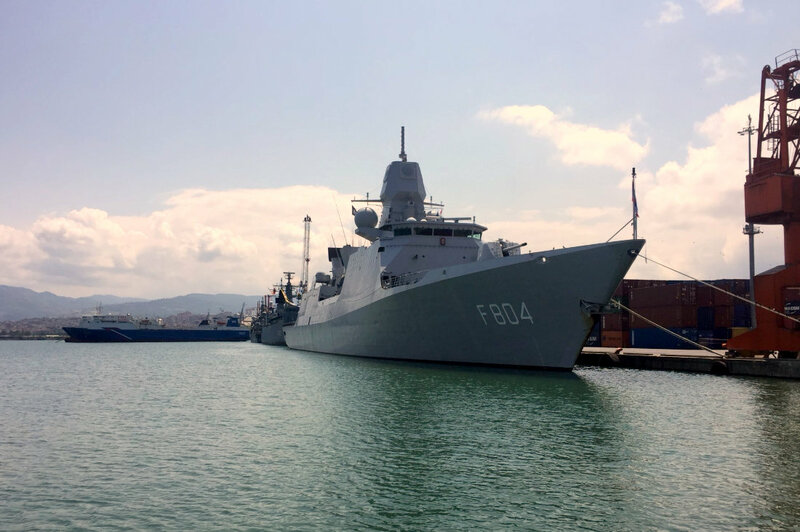 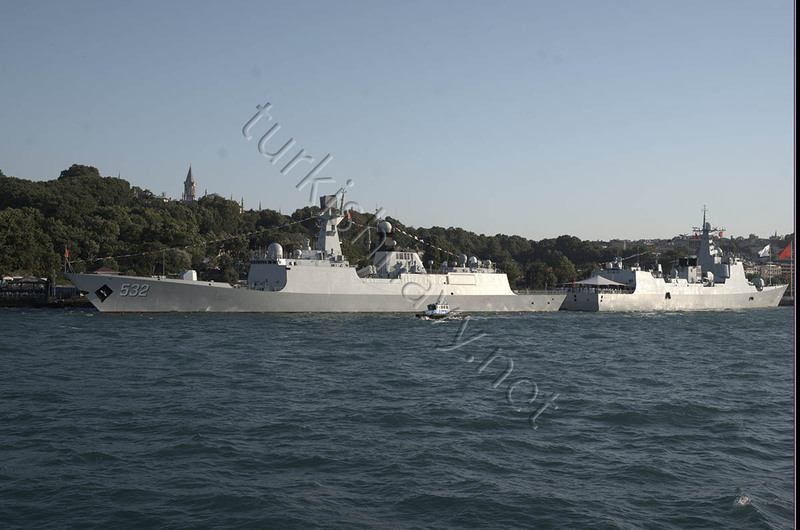 On the other hand, the same dispatch mentioned 23 warships are taking part in the Deniz Yıldızı exercise but only disclosed names and location of 21 warships. 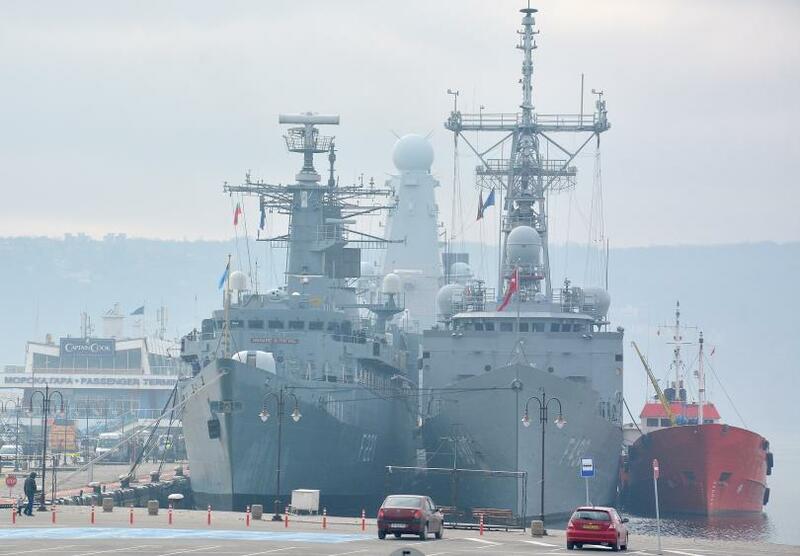 So there could be two warships conducting a port visit in Novorossiysk, Russia or not. 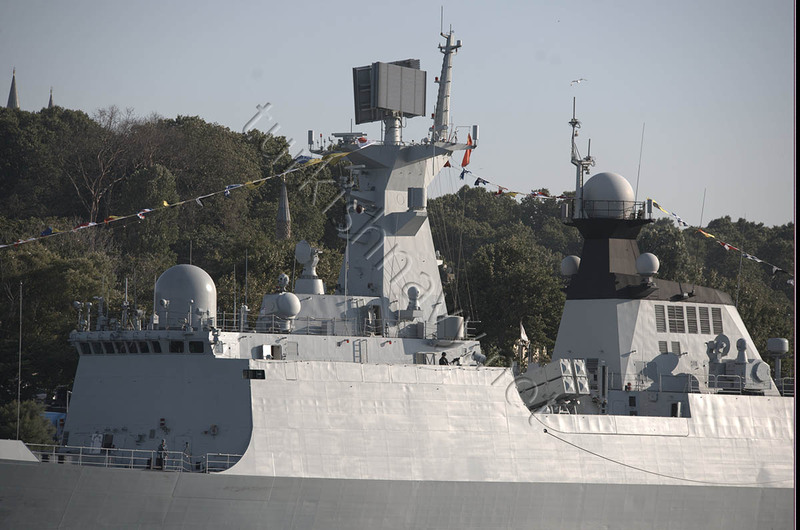 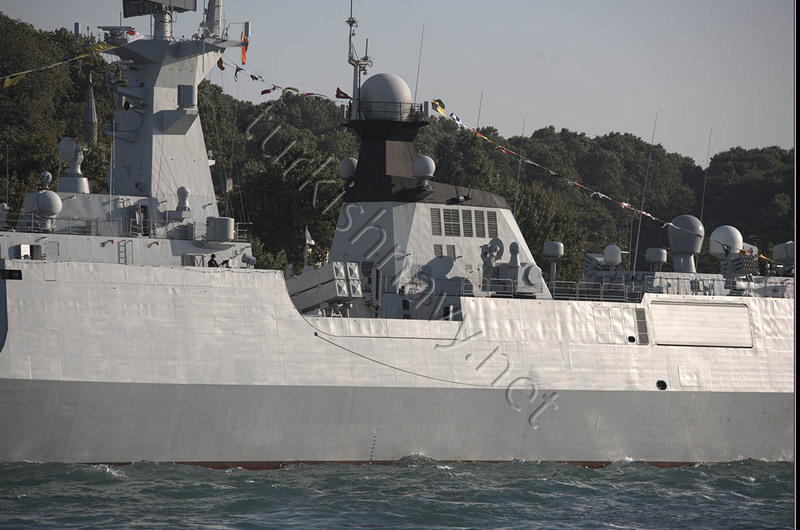 Another interesting thing to note is the absence of Gabya ex-Perry class frigates. 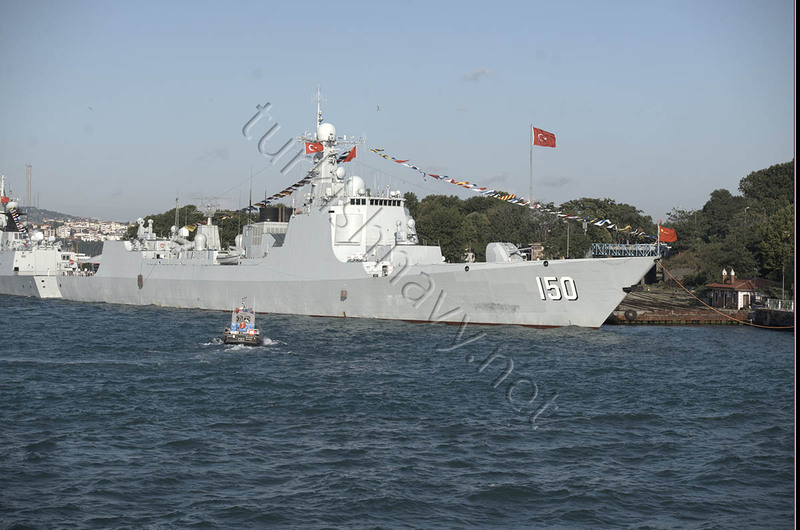 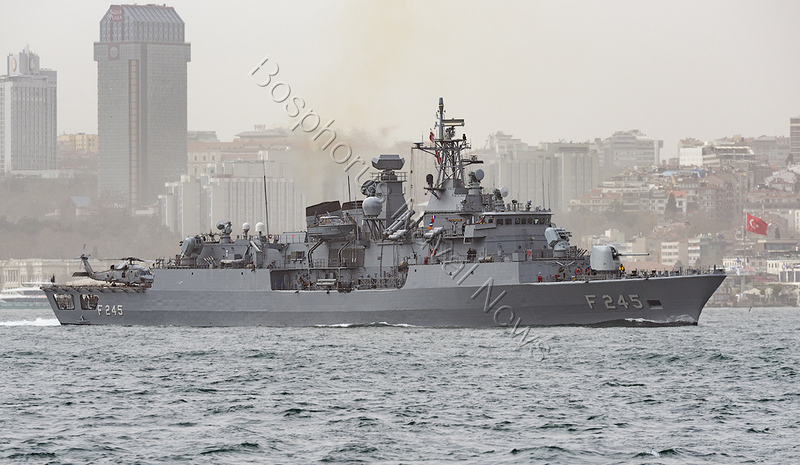 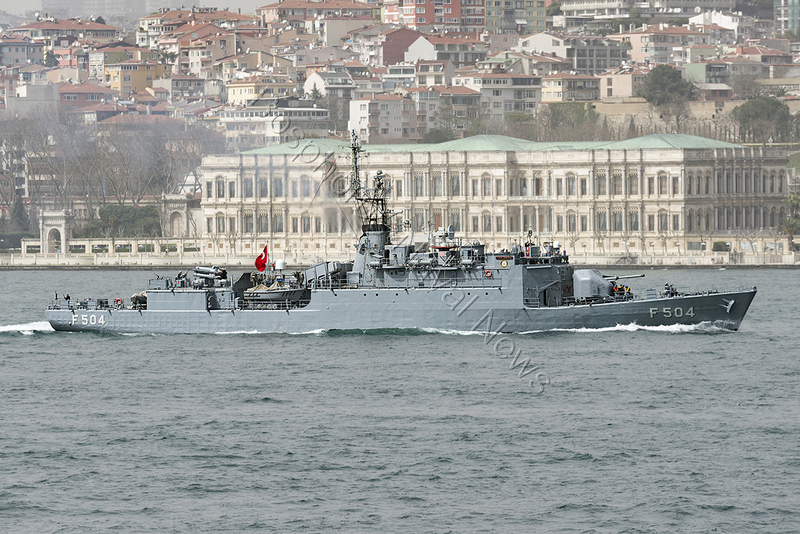 Turkish Navy operates 8 Gabya class frigates. 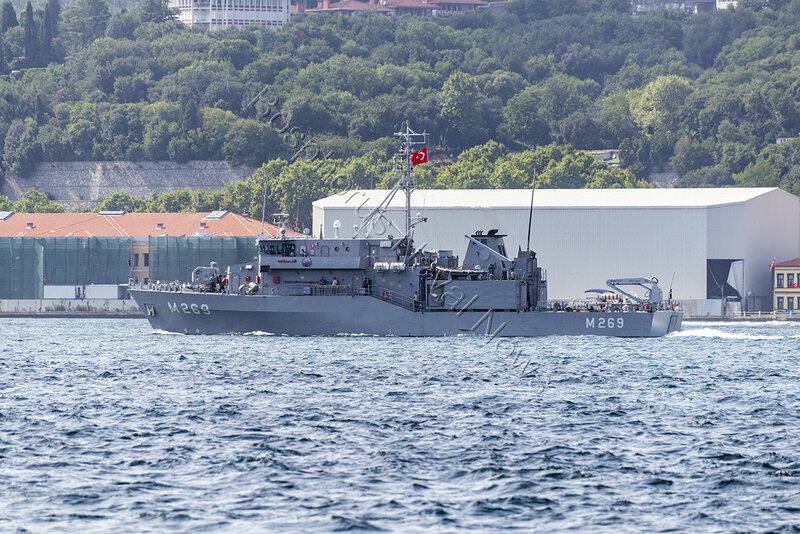 None was observed to pass to the Black Sea recently. 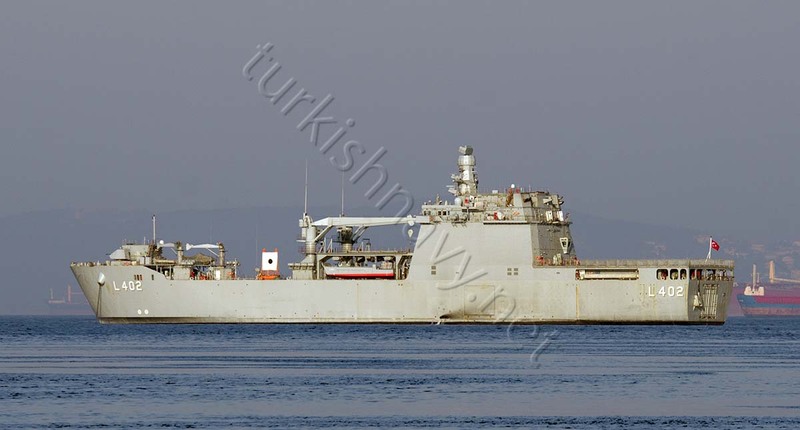 A-572 TCG Yüzbaşı İhsan Tulunay. 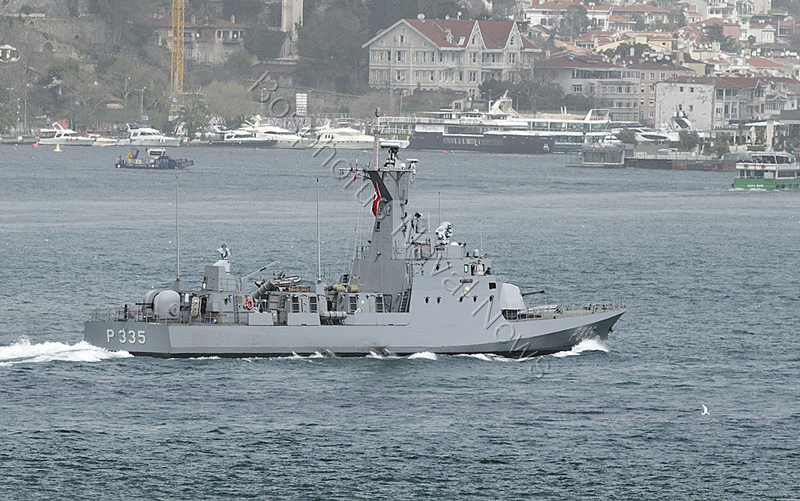 F-243 TCG Yıldırım. 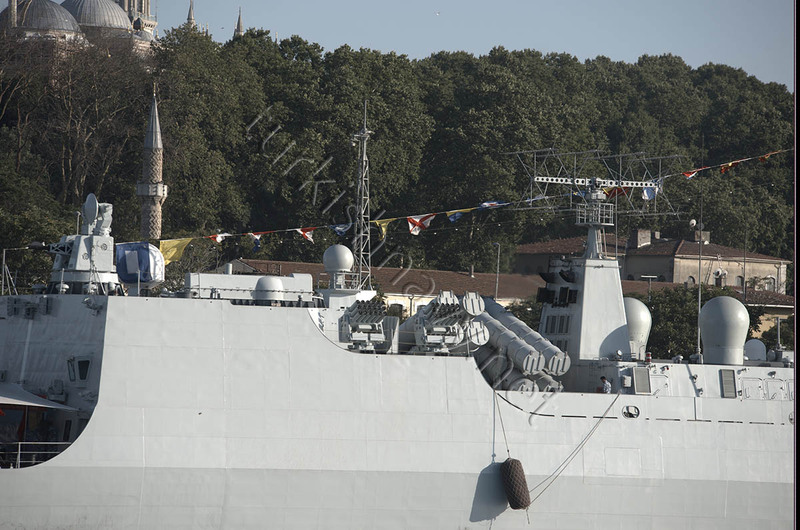 Note the new ESM mast. 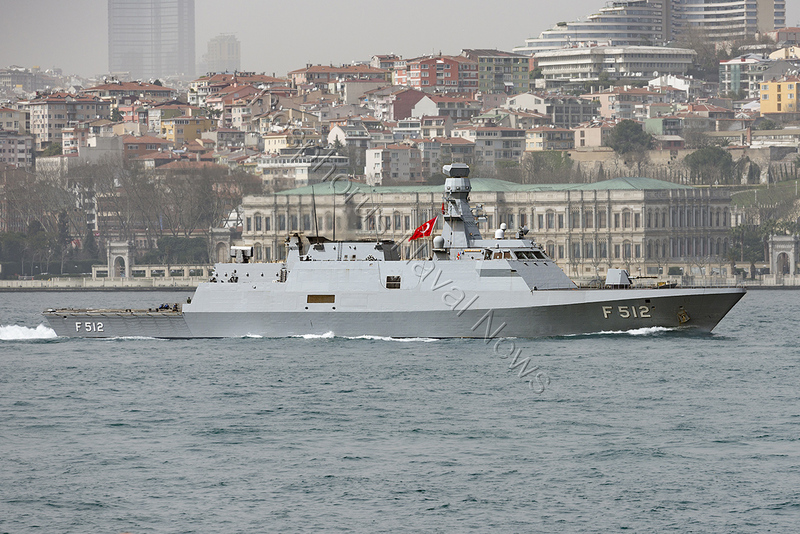 F-504 TCG Bartın. 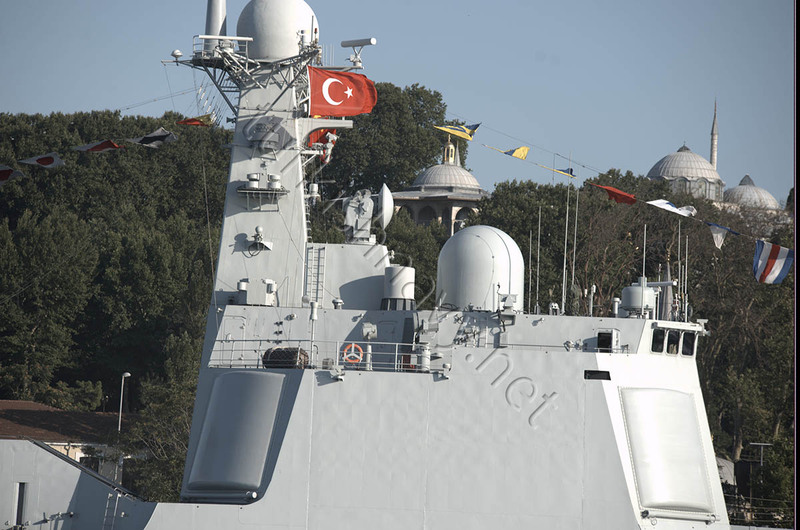 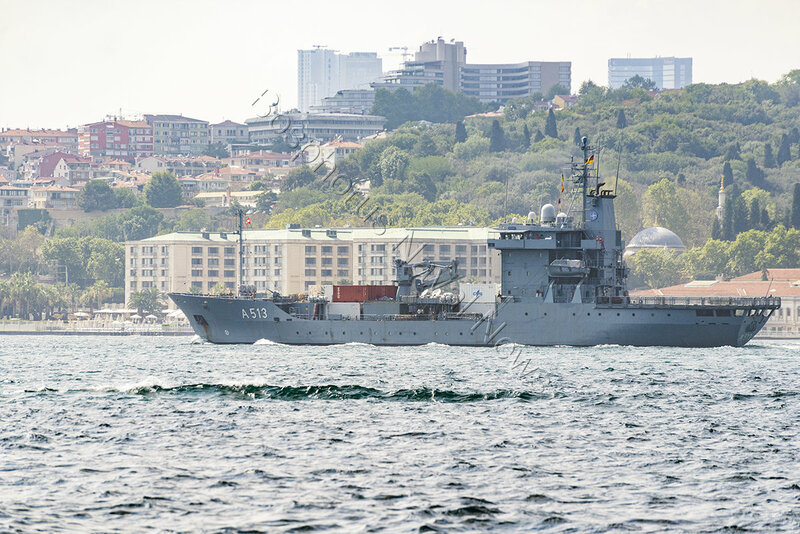 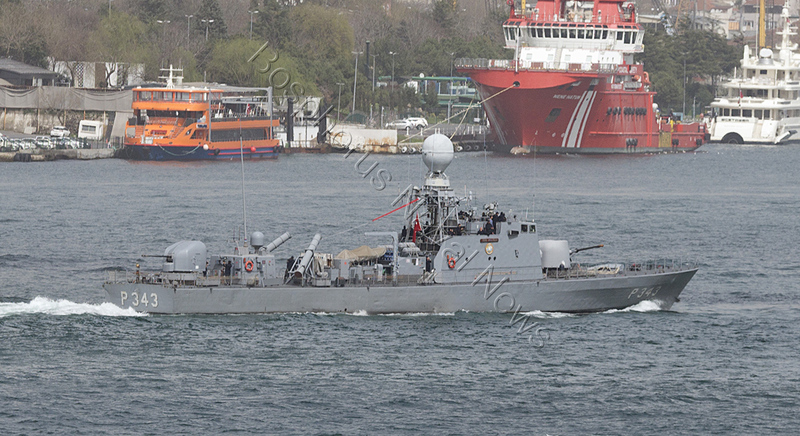 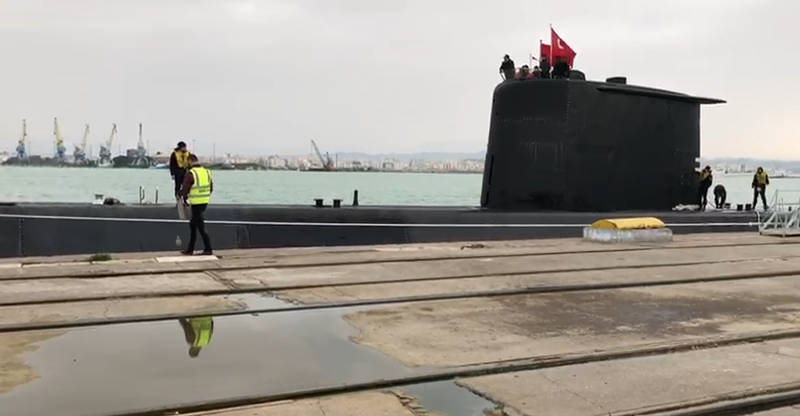 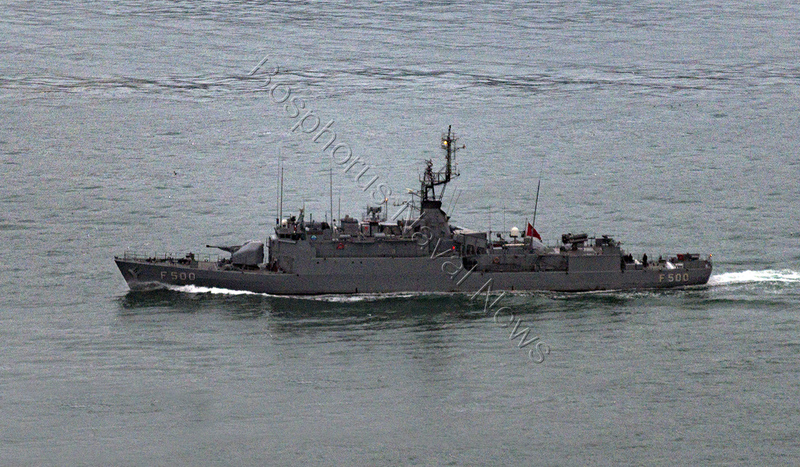 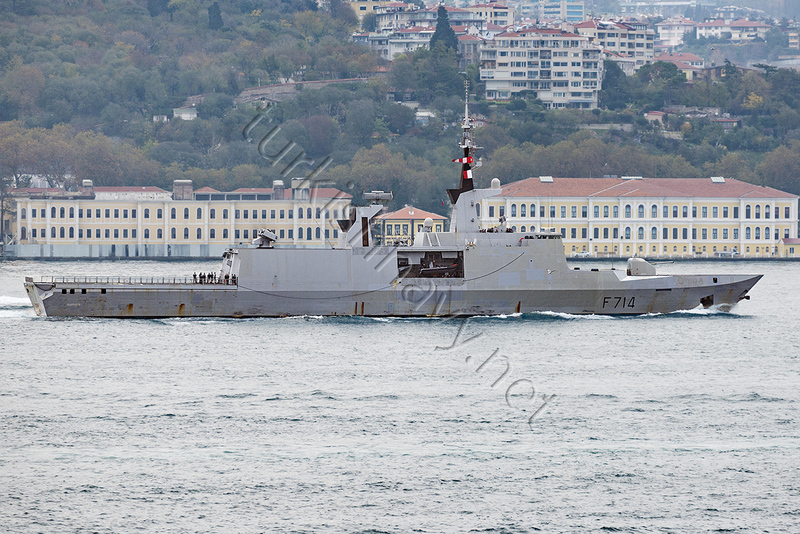 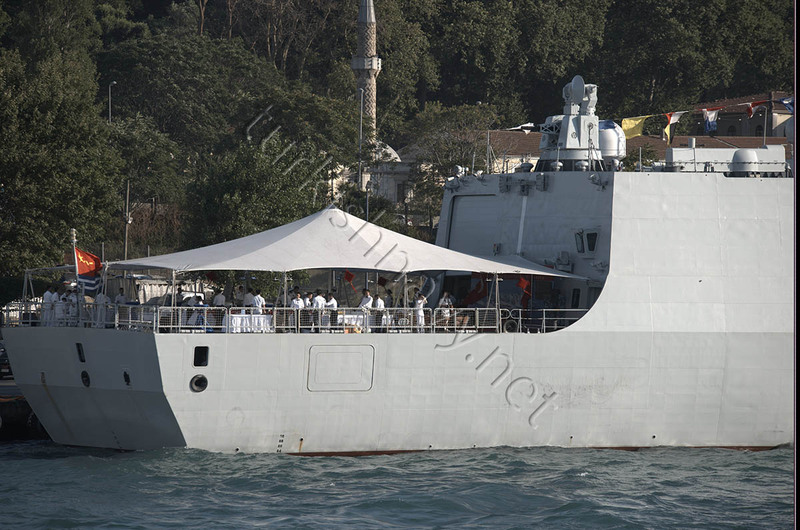 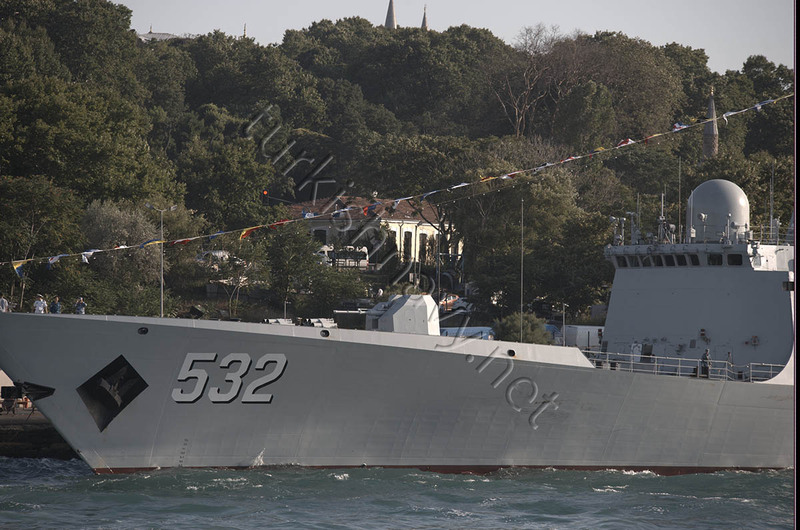 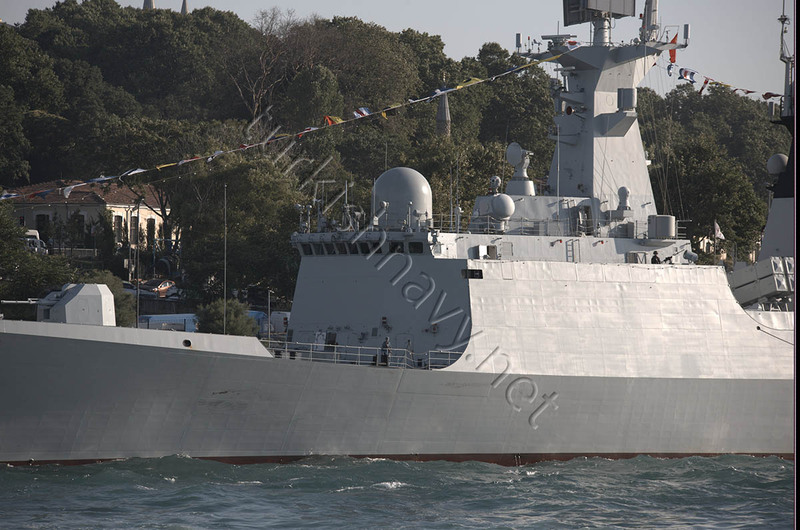 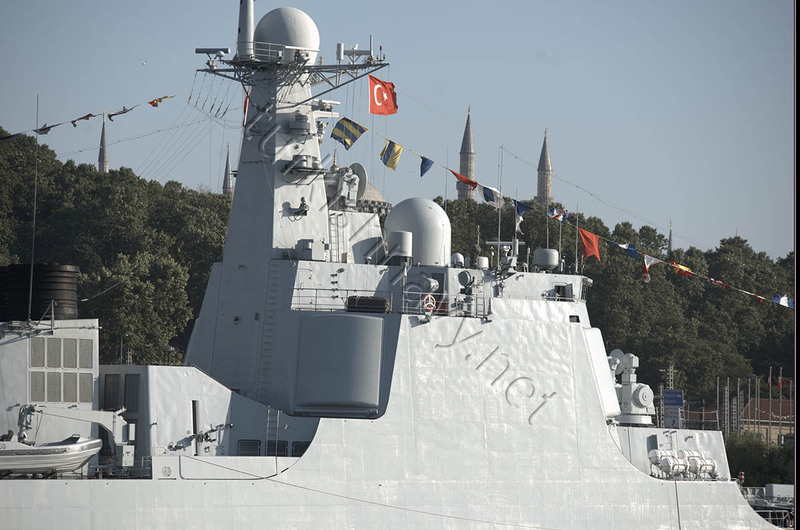 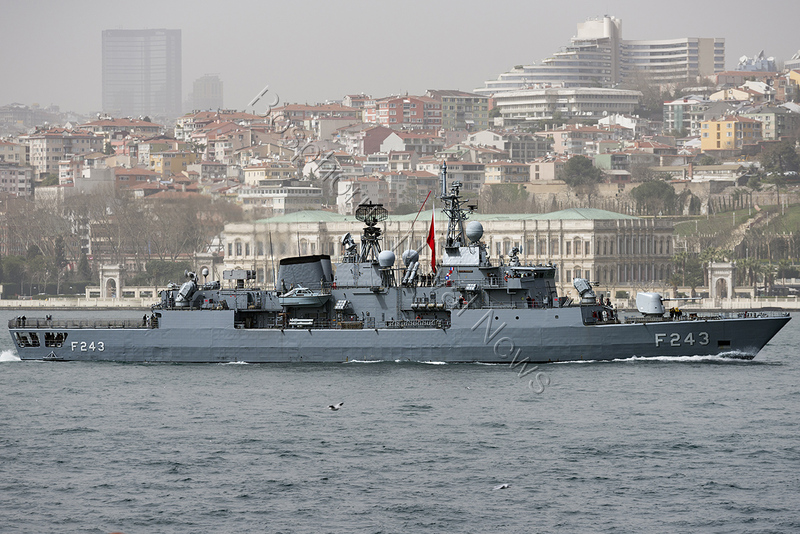 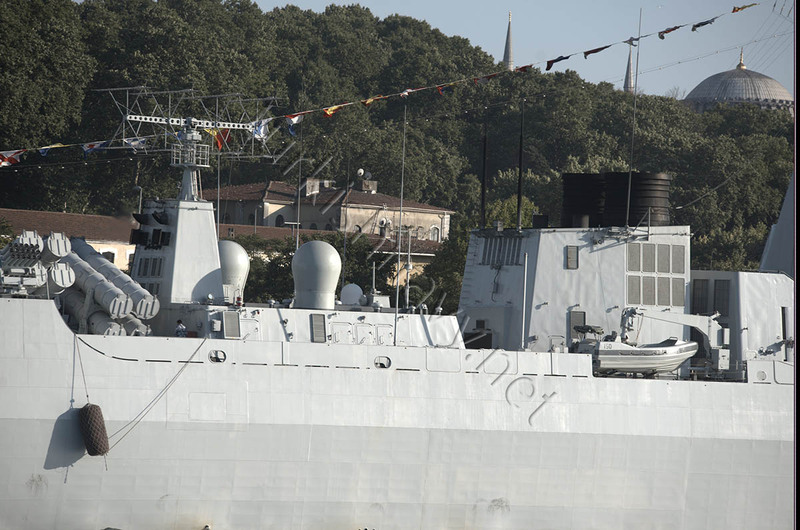 Both TCG Bozcaada and TCG Bartın have their original MM-38 Exocet missiles still installed.